The New Balance DC Cricket Bat, endorsed by Steve Smith, contains a low sweet spot suitable for the front-foot dominated players. The large profile, low swell and thick edges of this blade combined with a large, exaggerated bow produces a huge amount of power that enables batsmen to clear the boundary ropes with ease. 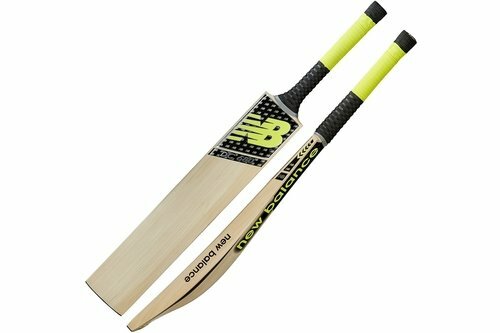 New Balance have presented the perfect bat for the modern day batsmen looking to increase their strike rate and look good doing it.